An Aldi grocery store opened on February 7th, 2019, in part of a building in Waukesha, Wis., that once entirely belonged to the retail chain Kohl’s. We wrote here last year about Kohl’s announcement that it intended to partner with Aldi. The business move is an attempt to bring more foot traffic to Kohl’s stores, which have been affected by the growing popularity of online sales. 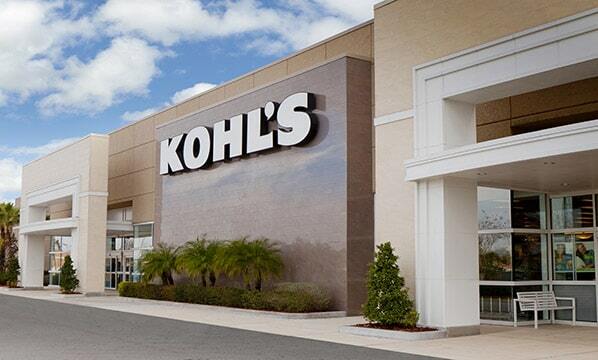 As foot traffic has decreased, Kohl’s has sought to reduce its store sizes and inventories as part of a “right-sizing” initiative, and the store has sought to locate popular, high-traffic businesses nearby in hopes that the pairings will be mutually beneficial. Aldi is in the midst of a $3.4 billion expansion project and plans to open 2,500 new stores across the U.S. by the end of 2022. Aldi, which attracts budget-conscious shoppers who like to get in and out quickly, may seem an odd pairing with Kohl’s, which plays pricing games with sales and coupons and is not known for speedy checkout lines. Whether Aldi will end up boosting traffic and sales at Kohl’s is uncertain. In the Waukesha location, Kohl’s and Aldi have separate entrances and do not share interior space. There is the hope by Kohl’s officials, though, that shoppers will view the setup as a one-stop shopping opportunity where customers can purchase groceries, toiletries, home goods, and clothing next door to each other. It’s an effort to compete with big box stores such as Walmart and Target, where shoppers can get everything they need in one place. Don’t expect to see Aldi stores popping up next to Kohl’s stores everywhere, though. The Aldi-Kohl’s arrangement in Waukesha is the first of several planned pairings in a small pilot project, with just five to 10 sites in the works. Where the partnership goes from here remains to be seen.